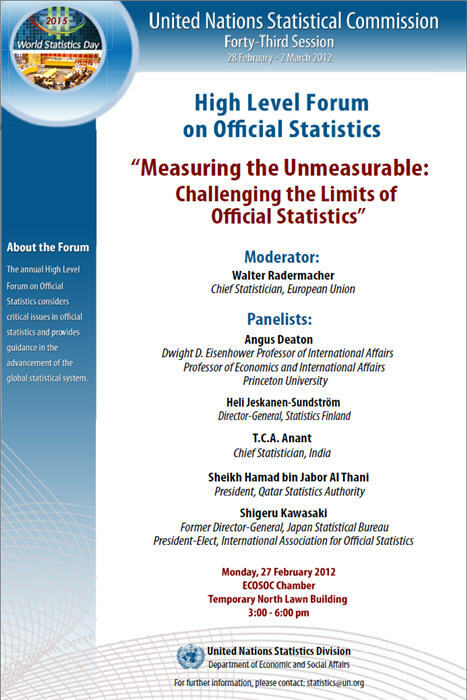 This Forum is one of the special side events organized by the UN Statistics Division on the occasion of the Statistical Commission, to discuss special challenges confronting the global statistical community. This year the Forum will address the issue of measuring difficult-to-measure concepts. The statisticians are increasingly being asked to measure complex and qualitative concepts. 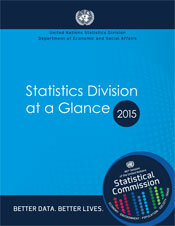 Concepts such as national happiness or well-being, ecosystem services, sustainable development, and multiple deprivations are increasingly placed before the statisticians. These are complicated topics with no clear measurement yardsticks. A panel of experts and Director-Generals of National Statistical Offices will share their experiences and address the issue of whether the boundary of official statistics should be extended because of these demands.